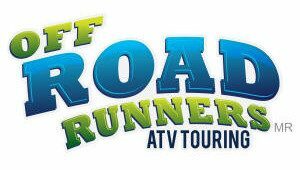 Off Road Runners ATV Tours and Touring. Come and venture among landscapes that only Baja California and Los Cabos can offer! 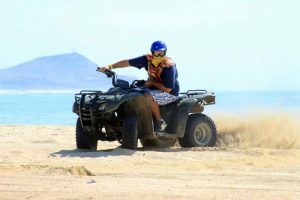 Baja is known for its stunning paths snaking through the desert and challenging pilots as they explore the beauty of this rugged environment. 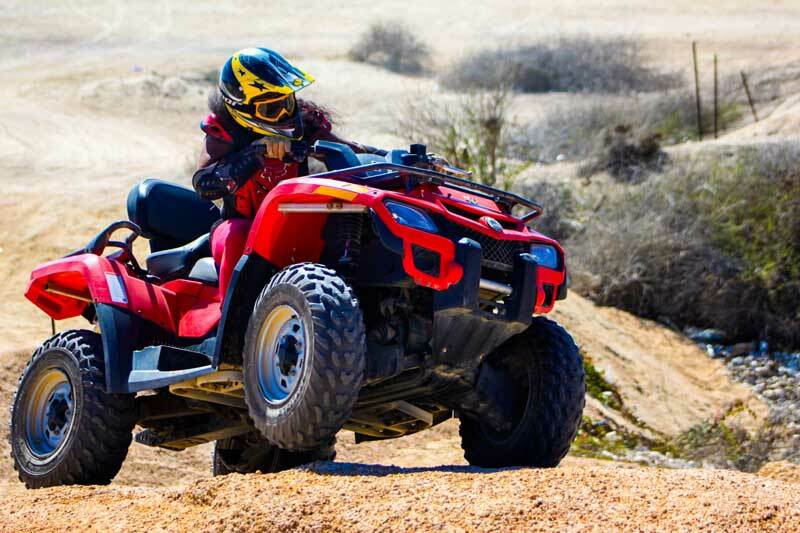 Our Off-Road Runners tour is a deluxe ATV touring adventure. To get you started, we’ll equip you with top brand protection gear such as goggles, and full-face helmet. 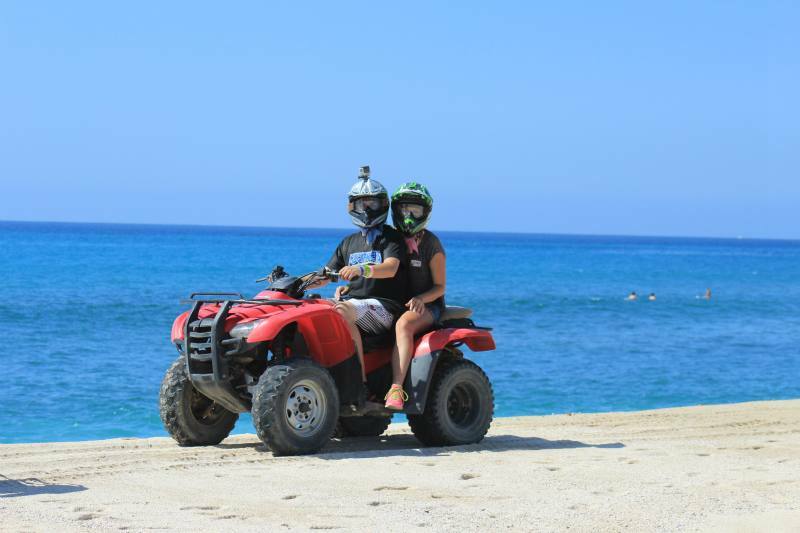 Then we’ll give you the keys so that you can get a feeling for your two-passenger 450 cc Honda ATV. Our professional guide will make sure you have an unforgettable tour by taking you on routes that are appropriate for your driving skills and preferences, always including desert and beach. Approximately 3 hours, including transportation. For their own safety, pregnant women and people with heart, back or neck problems or osteoporosis won’t be allowed to participate in this activity. —- Note: Insurance is NOT included in the price of the tour, but can be purchased directly at the park. —- Note: A general “Ecological Park” entrance fee of $15 USD must be paid at check in. This fee includes access to the animal sanctuary, Wild Canyon’s Kingdom, and the Cabos Canyon Bridge.